Indeed, the Lord commanded the Great Commission afterward, but before the Pentecost, and yet are we to think that there was no Church to receive the order? So, perhaps, we can trace the Church to the death and resurrection of Christ? Christians are the Paschal people, after all. However, before the Passion, Peter addressed Jesus as Lord on Mount Tabor, and, as Paul writes, “No one can know Jesus as Lord except by the revelation of the Holy Spirit.” Wasn’t the Church present when Peter, James, and John witnessed the Transfiguration? Think again whether Pentecost is truly the Church’s birthday. I contend that it might be better to consider Pentecost as the Church’s Bar Mitzvah. Last week, my father asked me why the Roman Catholic bishops supported open borders. Of course, the opportunism of such a position is obvious. The Roman Church in the United States has been hemorrhaging its white American membership for decades and needs a steady supply of Mexican immigrants to fill the emptying parishes in many parts of the country. There is also the religio-tribal reflex; Roman Catholics have natural sympathies for their coreligionists around the world. Besides, Mexico is our neighbor, and a large portion of the country has a long, intimate history with Mexico. For Americans in the Southwest, Mexico is about as alien to them as Old American Yankee life. If we were experiencing an invasion of Mohammedan Pakistanis, I doubt that there would be so much pro-immigrant cheerleading from the Roman bishops. However, there is something much deeper underlying the bishops’ position. It is an ancient Christian problem; one may even call it an inherent tendency in our religion. Christians may easily forget the city of man. By that, I do not mean that they neglect the world in the Buddhist way. A doctrinal grounding of Christianity is the incarnation, and Christians enthusiastically care for the city of man as a way to manifest divine love. Rather, they forget that the city of man retains its own nature—its own set of ways and rules, some of which have resulted from what Christians call the fall. A common Christian response to this “alien” city of man is to pretend that the rules for the city of God have supplanted the laws of nature. Until the eschaton, such will not be the case. Allow me to flesh out this theory. Christians rightly judge the soul and the state of the soul to be more important than the body and the state of the body. However, if they only considered this fact, they would jeopardize society. Indeed, pagans and anti-Christians have accused Christians of doing this since the apostolic age. Consider a barbarian attack on a city. If the Christians’ manning the city walls thought only about everlasting consequences for the soul, they would not kill the attacking barbarians. For then, they might rob the heathens’ chances of hearing and of accepting the gospel. Yet, if they refused to defend the city, they would be guilty of neglecting their earthly responsibilities, and the blood of the massacred population would be on their hands, albeit indirectly. The insane spiritualism to which Christianity can easily descend judges such a result acceptable. For this view holds that the innocent, Christian victims will happily enter the kingdom of God while the witness of the Christian soldiers who refused to fight testifies the mercy of God to the barbarians. That is madness. The barbarians would judge such an extreme form of irresponsibility as cowardice and foolishness, and the heathen would understandably spit upon the images of Christ in the city’s temples as the god of an idiotic populace. This temptation to neglect the city of man is ancient, but rarely has it become widespread, notwithstanding the accusations of the pagans. Christian civilization developed, and Christian cities defended themselves from the forces of barbarism, both from within and from without. It is very telling that contemporary spiritualists point to the healthy, vigorous Christian societies of the past as examples of darkness and hypocrisy when they were functioning, strong, vibrant Christian communities that both knew what must be done to secure earthly order and what the higher aim of mortal life must be. Nietzsche criticizes Christianity as the new Buddhism, but historically, Christian civilization has not been a nihilistic, self destructing exemplar of social dysfunction. Necessity is an incentive toward sober thinking, and most people throughout history have not had the luxury to ignore the standard perils of human life. The wealth and power of the modern West have allowed men to indulge in drunken thoughts. The naive assurance of permanent order allows for the spiritualism previously discussed and for the follies of leftist social fantasy. Both tendencies have likely influenced the Roman bishops’ support of unrestricted immigration. The hierarchs are so telescopically focused on spiritual matters that they forget or refuse to think about the city of man. Societies need social cohesion, unity, and shared loyalties. Large scale population displacements—invasions, really—disrupt those political needs and lead to disorder and disintegration. Yet, such mortal concerns do not interest those pious men of God who only gaze upon heaven. Theirs is another country; to hell with the land of their birth. 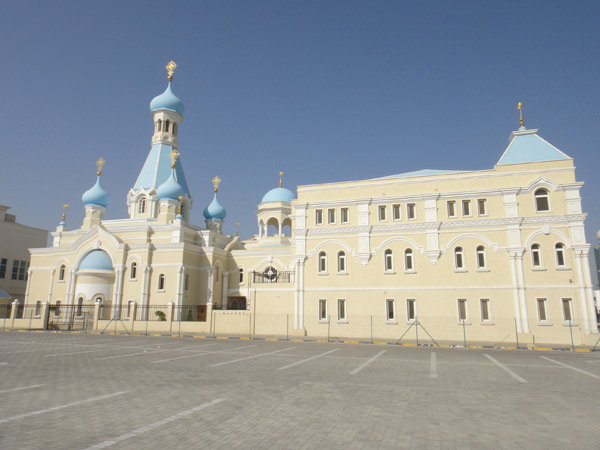 The Russian Orthodox Church has built its first parish on the Arabian Peninsula in Sharjah of the United Arab Emirates. The parish of Saint Philip will serve the needs of the hundreds of thousands of Russians who live in or visit Sharjah. The completed temple has domes and crosses, which are quite unusual in the Dar al-Islam. A Russian Orthodox school and a Russian cultural center are part of the complex, as well. 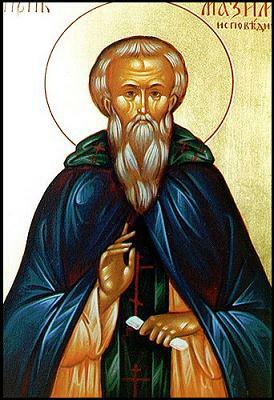 As the Arabian Peninsula lies within the canonical territory of the Church of Antioch, the Patriarch of Antioch had to agree to allow the Russian Church to establish the parish. The Russian priests there will serve with the blessing from Damascus. Saint Philip’s is yet another example of the importance of secular support for the Church. For there is no way that an Arab sultan would have agreed to such a Christian temple without his respect of the Russian state. Not too long ago, the tsars and kings of the East assisted the Church, and thereby Orthodox missionaries carried the faith to many lands and peoples. After the theomachist interlude, Orthodox commonwealths are returning to the ancient practice. There are pious Christians who oppose the idea of Christendom, and there are simply the enemies of Christendom. Both groups fear cooperation between earthly powers and the bishops. The former have a case to make, and we should be ever mindful of their warnings. Yet, I think that a harmony between Christian leaders and the bishops can do wonders for the people of God and for spreading the faith. Consider how the Spanish, British, and Russian Empires spread the gospel. The Left today dwells upon the exploitative side of imperialism, but do they really prefer cannibal cults to biblical religion? Well, the Left just might have that preference. We think otherwise. Indeed, in 2003 Brother Julian told the Bona Venture, the university’s student newspaper, that they confounded the friars’ seniority system by often claiming they “walked in the door together” and by never divulging which twin was born first. I do not know if divine mercy, genetics, or both orchestrated the timing of the brothers’ deaths, but theirs is an extraordinary story. Memory eternal, Julian and Adrian! On this holy day, I offer a delightful post from Perry Robinson on his Energetic Procession site: “The Open Door.” Robinson recounts a morning meeting with some visiting Jehovah’s Witnesses who had knocked on his door. The story is a fine example of grassroots apologetics. Oddly enough, I owe some of my theological development to the Jehovah’s Witnesses. In my early teen years, I participated in local Baptist missionary efforts wherein I had the chance to see youth pastors and other “soul winners” engage all sorts of folks on religious matters. We sometimes happened upon Jehovah’s Witnesses, and the Russelites were surprisingly receptive to having a religious discussion with strangers in their living rooms. One evening, my youth pastor and I visited the home of a Jehovah’s Witness elder. The Baptist and the J.W. had a lengthy doctrinal debate, replete with scores of references to holy writ. It was evident to me that both men were extraordinarily familiar with their scriptures, but they continued to argue past each other because they interpreted the same texts so differently. It was on that rather chilly winter night that I realized how utterly indefensible sola scriptura really was. My proclivities for Protestantism waned quickly afterward. It is funny how groups as disparate as the Jesuits, Reformed Jewish rabbis, and Jehovah’s Witnesses played important roles in my conversion to Orthodoxy. Providence uses all available tools.